It has been some time now since I decided to upgrade my lighting system to use HID. Last week, I decided to go ahead and did a quick search and found a HID system that is being sold at Amazon under the name Xentec. Honestly, they seemed like they’re a respectable company and the product looked good too, so I ordered my 6000K HID from them. So, I was very happy with the result and the HID color was just fantastic. Looked OEM. 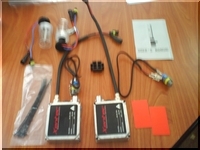 So, I went home and decided to write a post about this company and to recommend it to you, the readers of the BMW E36 Blog. I also baclofen buy online, generic lioresal. decided to shoot a video of how it looks at night and about the visibility. So, I waited until it became dark and went to the car to shoot the video. I was shocked to find out that the left light didn’t turn on. First, I thought the problem was in the wiring, so, I checked everything and couldn’t find any problem. Finally, I discovered, after some diagnostics, that the left Ballast has failed. Can you believe that? it didn’t work more than half hour and it’s already dead. I’ve replaced that ballast and now everything looks awesome, but I’m still worried the other ballast will fail really soon. I hope not though. 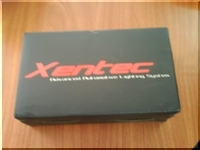 Bottom line… don’t go with Xentec. I’m sorry, but a ballast that can’t serve more than half hour is just rubbish. These are the 3 buy cardura online without prescription, zithromax online. 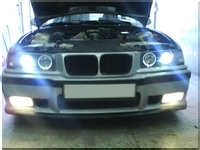 most common xenon HID lights available for the BMW E36. Check them out. Which one do you prefer more?